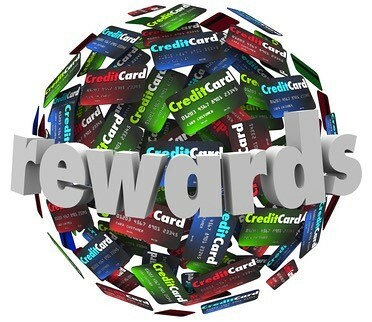 Rewards Points are incentive based currencies earned through specific Rewards Programs. The two most prominent types of Rewards Programs are frequent flyer miles and Credit Card Rewards Points, though there are many other kinds as well (ex: Hotel Loyalty Programs, Dining Programs). These programs are designed to incentivize customers to use the credit or services they’re tied to, while minimizing how many rewards are actually redeemed. However, a shrewd customer can use the ins and outs of the programs to maximize the value of their points. much you spend. These credit card programs will be discussed in a later section. 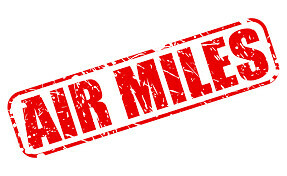 Typically, the miles you earn can be redeemed for airline tickets and airline related amenities. The first thing to keep in mind is that the amount of miles you fly are not equivalent to the amount of miles you then get to fly for free. Just because you fly from New York to Seattle, does not mean you get an identical free ticket to use later. If you open an account with an airline, you earn miles every time you fly with them. Every reward available has a price in miles. For instance, in Frontier’s reward program, you can get a round trip ticket for a domestic flight for 20,000 miles. Each airline has their own FFP. You can only use your frequent flyer miles on the airline that they were earned from, or a partnered airline. You can not use Delta miles for a United ticket. Every FFP has their own rules and regulations, so make sure you’re familiar with how your program works before moving further with earning miles. Much like FFPs, most credit card companies offer cards with which you can earn rewards points. Credit card points are significantly more advantageous than frequent flyer miles because they’re more flexible, with less restrictions and a wider range of rewards available for redemption. With credit cards, you earn points for every dollar you spend using your program’s card. Many programs will allow you to earn bonus points for specific categories of spending, or spending a minimum amount within a certain period of time after opening a new account. Additionally, many credit card companies (as well as FFPs) off a robust points bonus for opening an account in the first place. 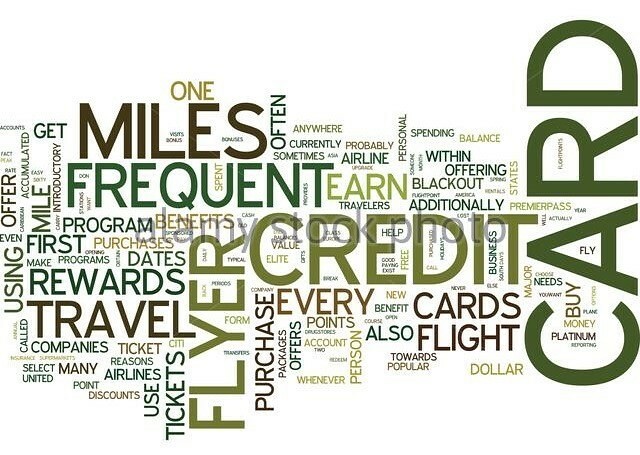 Some credit cards give you the option of earning Frequent Flyer miles when you spend. “Flexible Points” - A credit card with flexible points lets you transfer your points into the FFP of your choice. “Hybrid Programs” - A hybrid program gives you the choice of redeeming your points for travel expenses directly through the credit card program, or transferring your points into the FFP of your choice. How Do I Earn Points and Frequent Flyer Miles? The majority of your points will most likely be earned through credit card spending. Therefore, it’s critical to maximize your points on all purchases. Use your credit card for every purchase you can. Use cash only when you absolutely need to! Any expense that allows you to pay with a credit card, do it. Make the most of every spending opportunity by racking up points. Don’t go out of your way to make purchases you wouldn’t otherwise, because that would defeat the purpose. 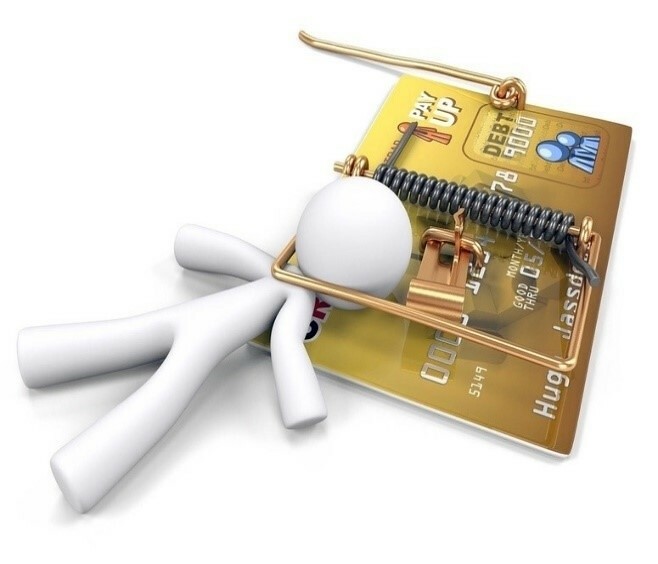 Make sure you pay off your complete credit card balance every month. If you don’t the interest you’ll have to pay will completely erase the value you’re attempting to accrue in points. Some credit card companies may even freeze or take back your rewards if payments are missed, or the account goes into default. Points are rewarded based on spending. 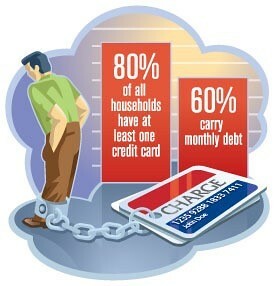 Just because a person has a high balance on their credit cards doesn’t mean that they earn a lot of points. It’s the people that pay off every credit card bill responsibly that have the best chance at earning the most points, because it means that they’re spending new money every month. Similarly, if there is a merchant tax (frequently 3%), it’s not worth it to use your card. Additionally, many cards offer bonuses for spending in certain categories. So make sure you’re familiar with the bonuses each of your cards offer. That way, you can earn some extra points on top of your everyday spending. A good way to start your rewards points strategy is by opening accounts for powerful credit cards with big sign-up bonuses. You will often receive a very respectable amount of points to begin with. It’s important to make sure all of your accounts are in good standing before signing up for any new cards. You get a free credit check every year, so use it. Many banks use FICO scores to determine creditworthiness. Your official FICO score can be purchased from myfico.com. Other sites offer credit score estimations, but none of them are official FICO scores, and can be vastly different than what the bank is using. As stated previously, each airline has their own loyalty programs. Miles from one program cannot be used for another airline. 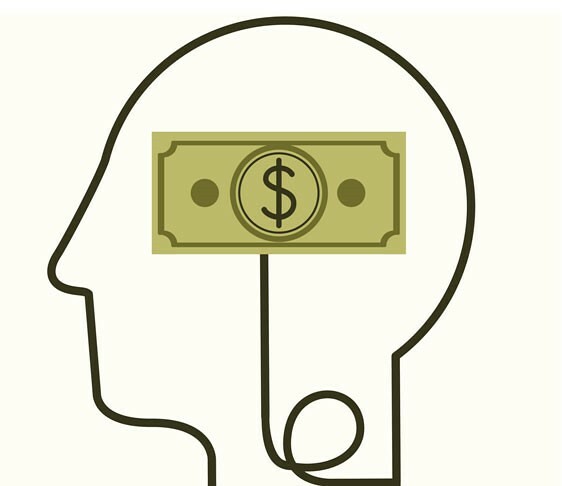 So how do you choose which FFP to focus on? The answer to that question lies in your own personal travel habits. If you’re based in Houston, you’re most likely going to have to fly United at least some of the time, so it makes sense to sign up for a MileagePlus account. If you find that you’re mostly flying Jetblue, sign up for JetBlue’s FFP. The same goes for hotel loyalty programs. If you prefer staying at Hilton hotels, or you simply end up in Hilton hotels most often, you should register for the Honors program. Fortunately, it’s free to sign up for virtually every loyalty program. There’s no reason not to sign up for all of them. Don’t book a flight or a hotel stay through a retailer if you can earn points by using that airline or hotel’s shopping portal. If you use an online mileage mall, you’ll earn points or miles for every dollar you spend. You’ll be taken to whatever website you’d use normally, but as long as you click through the portal, you earn bonus points or miles. That’s in addition to the points you’ll earn from paying on your credit card. It adds up. You can also use credit card shopping portals, to earn transferable points. However, if you’re using a specific credit card company’s portal, you’ll have to use a credit card issued by that company. How Much Are Rewards Points Worth? The value of rewards points are difficult to pin down. Because programs change, their rewards and special offers come and go, each program is constantly changing in value. However, there are a few ways to define the value you can expect from trading in rewards points. A good primer to read is this article from our site. The average value of credit card points is 1 cent per point. 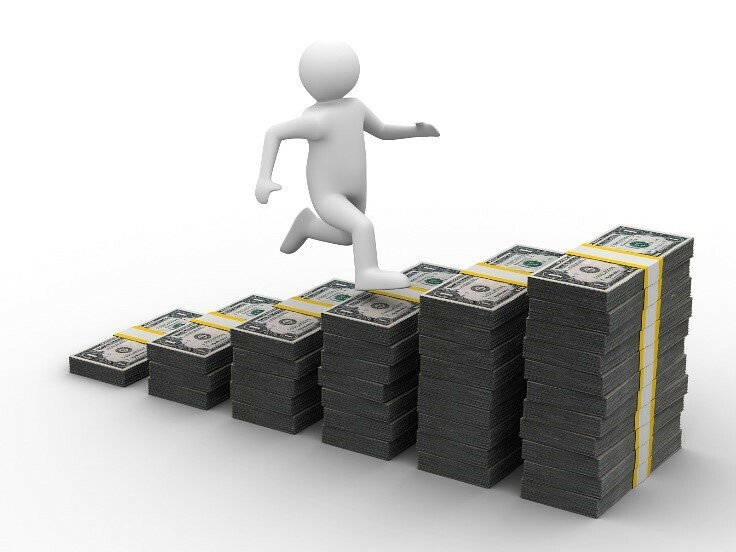 Program incentives and promotions may cause each program to fluctuate in value, but a good rule of thumb to follow is a penny per point. Keep that in mind, and it’ll be easier to spot good deals and bad ones, though there is definitely more to it than that. Many credit cards allow you to transfer points to FFPs and hotel programs at a rate of 1:1, which makes their value even more flexible. By earning cash back, you can use your money to spend as you wish. You can even use it to pay off your credit card balance. The value of cash back is fixed, usually at 1% of your purchases. Because points fluctuate in their value, if you work the system right, you can get more value for them than cash back. With frequent flyer miles, the benchmark of a penny per point goes out the windows. Miles are all over the place, and depend on a completely different set of factors and limitations. The general rule is that the bigger the reward, the bigger the value per mile. For instance, a domestic ticket coach ticket often goes for around 40,000 miles, with an equivalent value of about $300. That’s 0.75 cents per mile (cpm). Not good at all. Take international flights or fly first class, however, and all of a sudden the value of your miles can jump significantly. You can reach 1.5 cpm, or even higher that way. The issue with FFPs is that redeeming miles is deliberately extremely complicated, with extremely limiting restrictions on available routes and dates. It just doesn’t make sense for an individual traveler. Travel agents, on the other hand, have a much broader use for miles, with multiple clients. 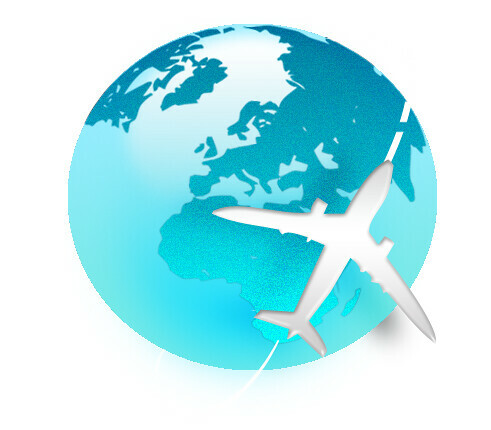 They have optimal range to take advantage of the available routes and dates offered by frequent flyer miles. By selling your miles to a broker, you can get a high valuation from the profit spread of such travel agents.